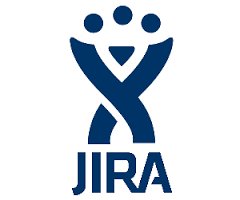 1) Explain what is JIRA? 2) Explain what is a workflow? 3) What can be referred as an issue in JIRA? 4) List out the source control programs with which it integrates? It integrates with source control programs such as CVS, Git, Subversion, Clearcase, Visual SourceSafe, Mercurial, and Perforce. 6) Is it possible to access JIRA cloud site via a mobile device? 7) Can you disable JIRA mobile for the site? You can disable JIRA mobile for the site, so that users can be unable to operate the desktop view of JIRA on their mobile device. JIRA mobile comes as a system add-on and can be disabled any time. 8) Explain labelling and linking issue in JIRA? Labelling Issue: It enables you to categorize an issue in a more informal way than assigning it to a component or version. You can then search issues according to label. 9) Mention the types of reports generated in JIRA? 10) Explain what is Cloning an Issue? 11) Mention what things are not included in cloned issue in JIRA? 12) Explain what is the use of “Move Issue” wizard in JIRA? 13) How security setting is helpful in JIRA? 14) Explain how you can share an issue with other users? 15) Explain how you can modify multiple bulk issues? 16) Explain how you can disable mail notification for Bulk Operations? 17) What does an issue change history include? 18) Explain what does the three color indicates tracking times or duration for an issue? 0 on: "Most Frequently Asked JIRA Interview Questions Ans Answers."